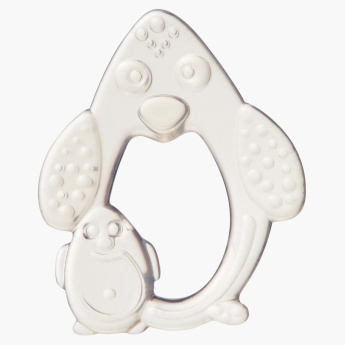 Tigex Textured Teether | White | Gently stimulates amd massages your baby tender gums. Perfect for your little one's oral development, this teether comes with a unique texture that helps massage your darling's gums. Featuring an attractive shape, this teether can be held by your baby with ease. Feature 1 : Gently stimulates amd massages your baby tender gums.